Two things that stand out immediately looking at the new flag of Mauritania: first, is their take on the pan-African colors. In general, I understand the historical significance of the Pan-African Movement and it's flag and colors have had a huge impact on vexillological design, especially in West Africa. (See: Ghana and pretty much everyone around it.) What I like here about Mauritania's addition of the red is that it creates a balance that reflects it's geographical position between the core of West Africa and the sort of Maghreb/Arab Countries to the north. The green and red nod toward the south and the green and gold crescent/star nod toward the north. I dig it. Second, let's talk about the crescent and star. I like how Mauritania places their crescent and star. It's centrally placed, the star is above the moon and the moon is underneath and not to the left, which is the placement you see in Turkey, the new flag of Libya, Tunisia and Algeria. Going out on a limb here- I'd say the North African Crescent/Star has some historical roots that date back to the Ottoman placement of the crescent and star- but a search of the Old Google Machine reveals that Mauritania seems to be the only country that places the crescent/star this way, which makes it stand out in the crowd a bit more. 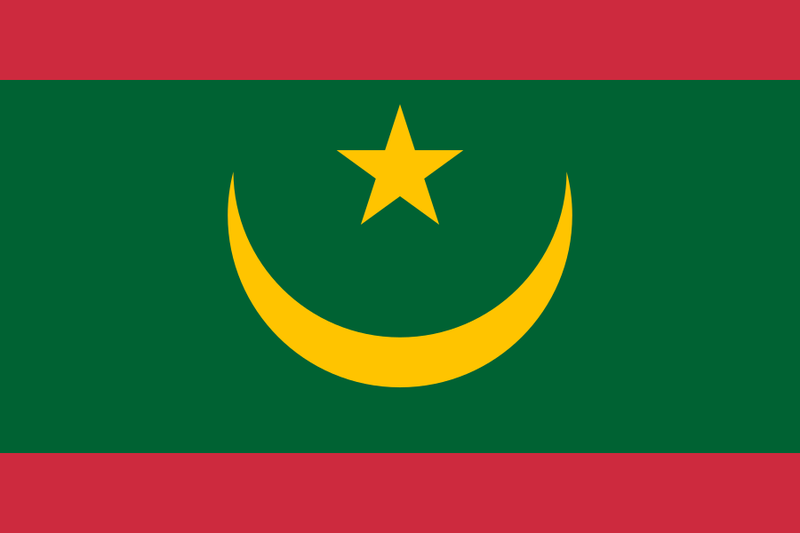 All in all, I like the new look Mauritania... remember, until next time keep your flags flying- FREAK or otherwise!